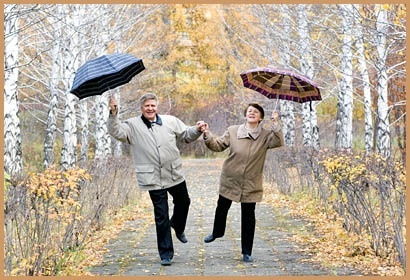 To get the most out of life, it is important to feel well as you age. Your health is the most important asset that you have and, as you age, feeling well is necessary for your morale. So we will start our longevity and anti-age strategies by taking care of our internal body. In order to keep healthy at any age, but especially as you are growing older, you really need to make lifestyle changes and, the earlier you start, the better. Drink plenty of water, as this will wash toxins from your body, keeping your organs healthy. This will have an influence on your physical appearance by keeping your skin clear and hydrated. Eat a balanced diet, as this will prevent too much weight gain. Obesity can lead to all sorts of problems, putting too much pressure on your articulations, heart and other organs. Eat plenty of fruit and vegetables, if possible at least five portions a day, as they are a source of anti-oxidants that can eliminate free radicals that are the compounds that destroy cells and age your body. Don’t skip meals, as your body will think there is a period of famine and start stocking fat. Make life-style changes that encourage healthy eating over the long term, rather than embarking on strict diets that can encourage the yo-yo effect, and not lead to permanent weight loss. We will go into other diet issues later in this web site. Get enough sleep to feel well. Sleeping helps your body and mind to rest and regenerate. Have regular check ups. Talk with your doctor and see at what ages and with what regularity you need to see him for total check ups – like revising your car on a yearly basis. Make sure that you also see your doctor if you don't feel well. This way your doctor will be able to check for the early symptoms of possible incubating diseases and take preventative measures. Ask your doctor or gynaecologist if you can have a test to check that your hormones are present in the normal levels. Don’t smoke if you want to feel well. Smoking can increase the aging process and speed it up. It can affect the health of your loved ones, who will inhale the smoke as passive smokers, and pollute the environment. Worse, smoking can lead to lung cancer, a very painful and often terminal disease. When many of the baby-boomer generation started smoking, this was not as well known as it is today. However, the hypothesis that cigarette smoking causes lung cancer became increasing accepted during the 1960s. And, as more and more research confirmed the theory, medical and eventually public opionion rallied around this view. In recent years, acceptance of the fact that smoking is bad for the health has led to it being banned in public places in many countries. Exercise regularly, varying cardiac exercise that will keep your heart healthy and prevent weight gain, with exercises to strengthen your muscles. The latter is particularly important in preventing bone loss as you age. Also practise stretching exercises or yoga or Pilates to keep your body flexible. An added bonus of exercise is that the endorphines which it releases in your body will make you feel well, alive and full of the joys of Spring. The key to feeling well is to slow down the aging of your body, which will permit you to feel vibrant, young and healthy even at an advanced age. To achieve this you will need to implement a program designed to slow down and repair any damage that is done to your cells by free radicals. If your cells are healthy, when they replicate, the replacement cells will begin their life-cycle even healthier than the cells they are replacing. As this process is repeated over time, the health of your cells, and thus your body, will improve considerably and you will start to both look and feel better and better. Find out how to repair your cells by clicking here.